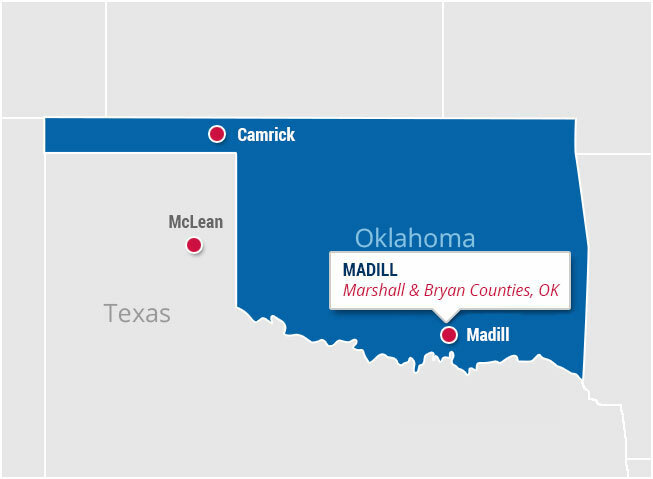 Originally built in the 1950’s, the Madill plant has been continuously modified and upgraded over the years. There are two 25 MMSCF/D cryogenic expander skids on site, one of which has front end refrigeration. 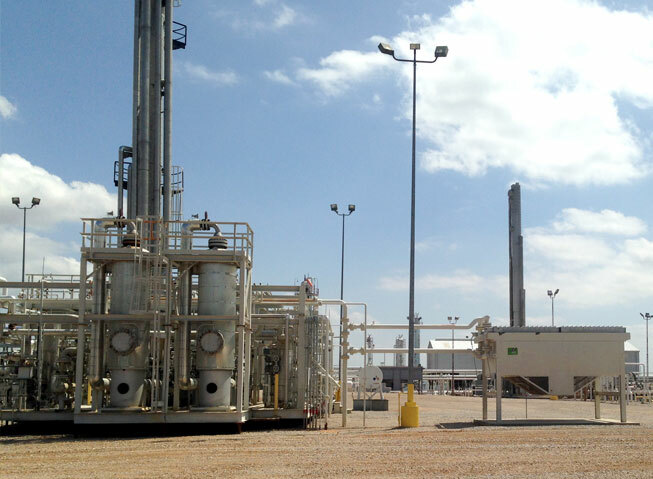 NGL product is piped to Oneok and residue gas is delivered to NGPL. The plant has an extensive low pressure gathering system and treats small amounts of sour gas. Process: Two 25 MMSCF/D turbo expander units, compression and amine treating.